Over the next few days there are some fantastic promotions taking place at a range of online casinos. Explore them below and you could soon be enjoying a huge win. 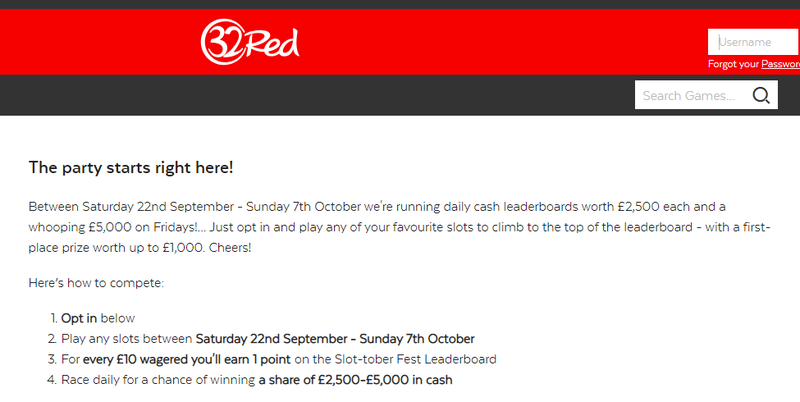 The world famous Oktoberfest beer festival is underway in Munich and to celebrate 32Red Casino is running a Slot-tober Fest promotion giving away daily cash prizes of up to £1,000! Between now and Sunday 7th October (when the festival ends), the casino is running daily cash leaderboards worth £2,500 each and special leaderboards on Fridays that are worth £5,000! All you have to do to be in with a chance of winning is opt in to the competition and play any of the casino’s fantastic slots. Every £10 that you bet on the slots will earn you 1 point for that day’s leaderboard. Every day there will be 10 prizes awarded and over the course of the promotion a total of £45,000 cash prizes will be given away! Each day there is a top prize of £500 up for grabs, except on Fridays when you could win a massive £1,000! Except for Fridays, second prize is £300, third is £200, fourth is £150, fifth is £100, sixth is £90, seventh is £80, and ninth is £60. Those who finish tenth to twelfth will win £50 each, thirteenth to fifteenth win £40 each, sixteenth and seventeenth £30 each, and eighteenth to twenty-first £20 each. Those who finish twenty-second to fiftieth will win £10 each and those who finish fifty-first to one-hundredth will win £5 each. This is a great chance to enjoy a huge range of quality slots and give yourself the chance to win massive cash prizes. 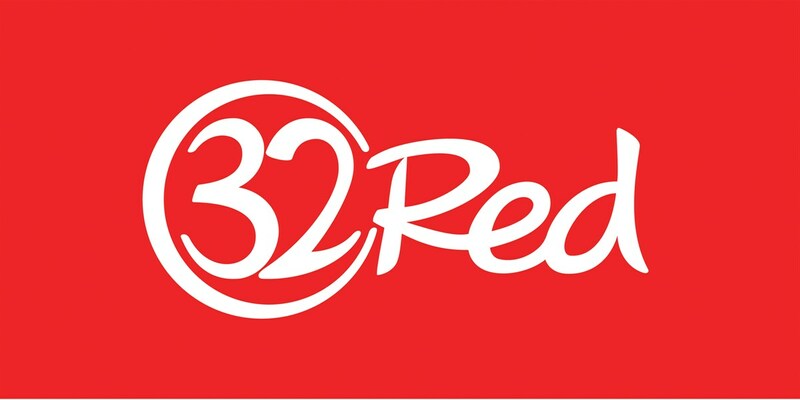 Head over to 32Red Casino and set the reels spinning today. This weekend you have the chance to win a share of £50,000 in prizes at Grosvenor Casino in its Da Vinci’s Treasure promotion. All you need to do is get the biggest win from a single spin to find the treasure. Just bet 50p on the eligible slots to take part and give yourself a chance of winning. The slots are Da Vinci’s Treasure, Chilli Heat, Great Rhino, Wolf Gold, and Asgard. All of the single spin wins are collated into a leaderboard and if you manage to finish top of the leaderboard then you will win a genuine gold bar that is worth £10,000! Those who finished 2nd to 999th will win cash prizes. There is a huge second place prize of £3,000 and a third place prize of £1,000. Those who finish fourth to tenth will win an impressive £500 each, while eleventh to fiftieth will win £250 each. Those finishing 51st to 100th will win £100 each, 101st to 200th win £50 each, 201st to 500th win £25 each, and 501st to 1000th win £10 each. This is the perfect opportunity to enjoy some fantastic slots and win yourself a fortune without having to bet one. You have until the end of Sunday, 30th September to enter and you could jump to the top of the leaderboard with just one spin of the reels, so start playing today to see if you can win. A number of Fun Fair promotions are taking place at Mr Green Casino over the coming days and you could win cash prizes and even a holiday to the Bavarian Alps. The main prize draw is giving you the chance to win a luxurious retreat to Bavaria worth an amazing £8,000. Plus, there are cash prizes totalling £3,000 for the top nineteen runners-up. To enter the prize draw you need to start playing the casino’s ‘Greentober’ game collection. Every 500 spins on the eligible slots will earn you one entry to the prize draw. There is no limit on how many entries you can earn, so the more you play the better your chances of winning. You have until the end of October 7th to collect entries, so there is still plenty of time. The eligible slots are Golden Fish Tank, Penguin City, Hanzo’s Dojo, Holmes and the Stolen Stones, and Dragon’s Fire. The top prize includes return flights for two from Europe to Munich, Luxury car hire throughout the trip including insurance, and 6 nights’ accommodation in a suite at the 4* Hotel Das Rübezahl. At the hotel you will enjoy breakfast each morning and a four-course tasting menu with wine at the hotel’s gourmet ‘Alpine Fine Dining’ restaurant, you will also have access to the hotel’s spa facilities. In addition, the prize includes a Bavarian castle tour, including the famous Neuschwanstein Castle, Hohenschwangau Castle and Linderhof Castle, as well as two entrance tickets to Museum of the Bavarian kings and £500 spending money! The top runner-up prize is €1,000; there is a prize of €500, a prize of €200, four prizes of €100, and ten prizes of €50. Parallel to this fantastic competition is The Bonus Spin Ferris Wheel. If you play 200 rounds on the ‘Ferris Wheel’ game collection you will unlock 30 seconds of Non-Stop Bonus Spins on the slot Lucky Mr Green. You can unlock these bonus spins up to six times a day and by doing so just once you could win a share of £15,000 in cash prizes at the end of the promotion. The eligible games are Lucky Mr Green, Treasure Mine, Rainbow Jackpots and Dragon’s Luck. All qualifying players are added to the leaderboard competition. There is a 1st prize of £3,000 cash, 2nd is £1,750, 3rd is £1,200, 4th is £800, and 5th is £500. Those who finish 6th to 10th win £300 each, 11th to 20th win £150 each, 21st to 50th win £75 each, and 51st to 100th win £50 each. Be sure not to miss out on any of these fantastic opportunities. Head over to Mr Green Casino and set the reels spinning today. 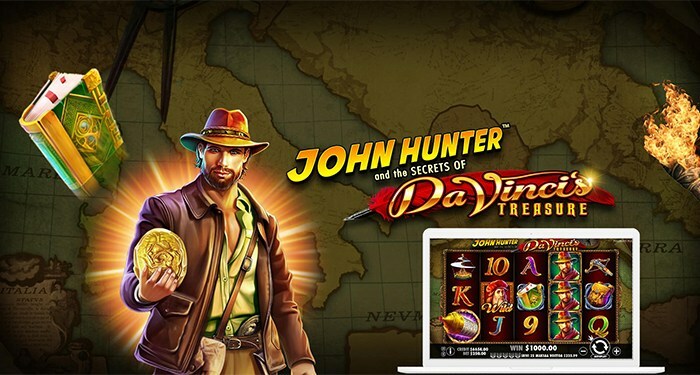 NetBet Casino is running a Da Vinci’s Treasure Live competition between now and Sunday 30th September and you could win a share of £25,000 cash! 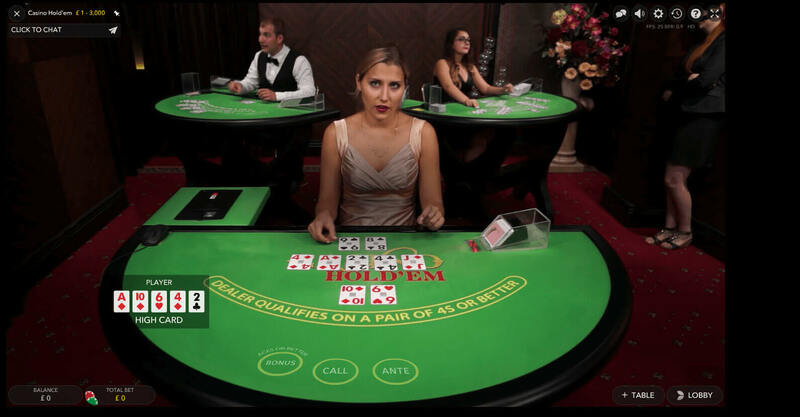 To be in with a chance of winning all you have to do is play the Pragmatic Live table games. You will get 5 leaderboard points for every £10 won across all Pragmatic Live tables including Blackjack, Roulette and Baccarat. You will then get 20 extra points for every active bet placed on the winning symbol on any of the selected Reel Roulette tables and 20 extra points for every Treasure Mystery card dealt on any of the Blackjack tables. Keep playing to climb up the leaderboard and if you are in the top 250 when the competition ends then you will win a share of the cash. Top prize is £5,000, second prize is £3,000, third prize is £2,000, fourth prize is £1,000, fifth prize is £750, sixth prize is £600, seventh prize is £500, eighth prize is £400, ninth prize is £300, and tenth prize is £200. Those who finish eleventh to fiftieth win £100, 101st to 200th win £35 each, and 201st to 250th win £25 each. There is still plenty of time to collect points on the leaderboard so head over and start playing your favourite table games today and you could soon be a winner of a huge cash prize. 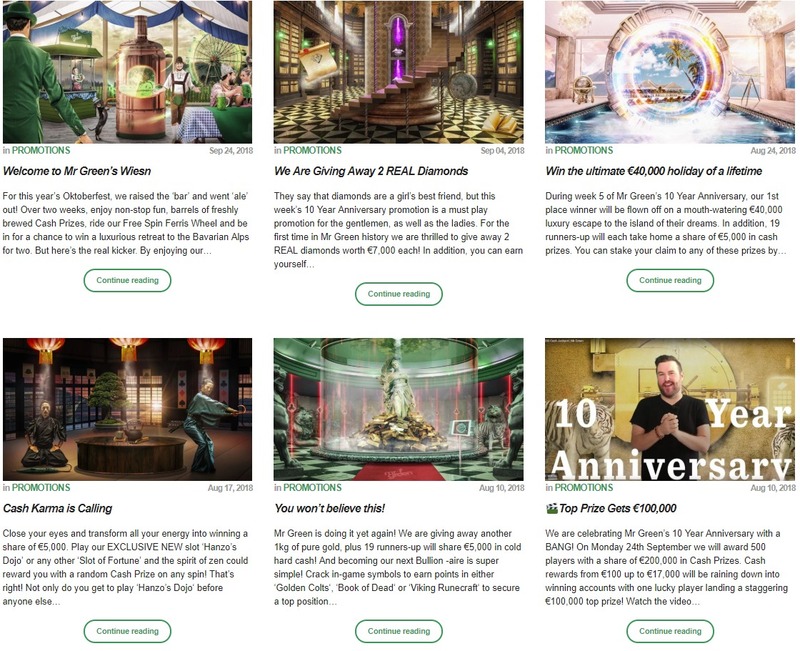 Unibet Casino is rounding up September with a special End of the Month Tournament giving you the chance to win one of one hundred prizes worth a total of €50,000! All you have to do is opt in to the tournament and then play on any live casino game before the end of September. As you play you will climb the leaderboard and the top 100 players with the highest turnover will share in the cash prizes. There is a massive top prize of €10,000, second and third place win €5,000 each, fourth and fifth place win €3,000 each, sixth and seventh place win €2,000 each, and eighth to tenth place win €1,000 each. Those who finish eleventh to twentieth will win €500 each, twenty-first to thirtieth will win €300 each, thirty-first to sixtieth win €200 each, sixty-first to eightieth win €100 each, and eighty-first to one-hundredth win €50 each. 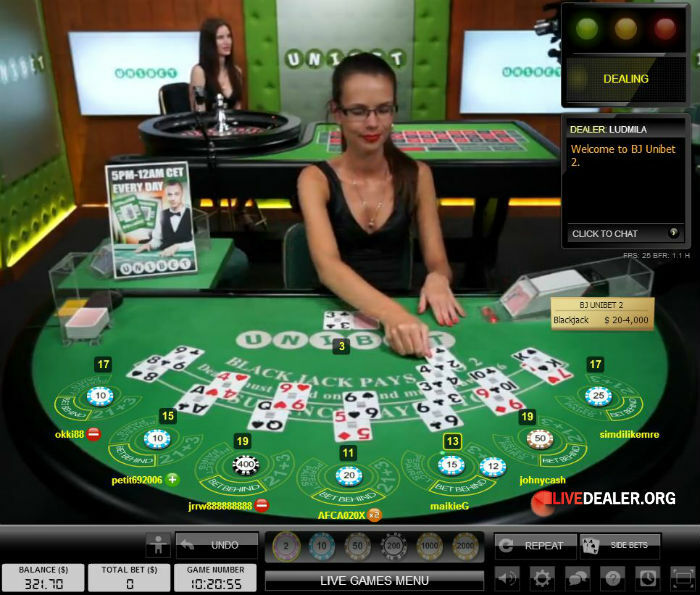 Don’t miss out on this opportunity to win huge cash prizes while enjoying fantastic live dealer gaming. Head over to Unibet Casino today and take your seat at one of the tables, there is still plenty of time to climb the leaderboard and you could start October with a huge cash bonus!